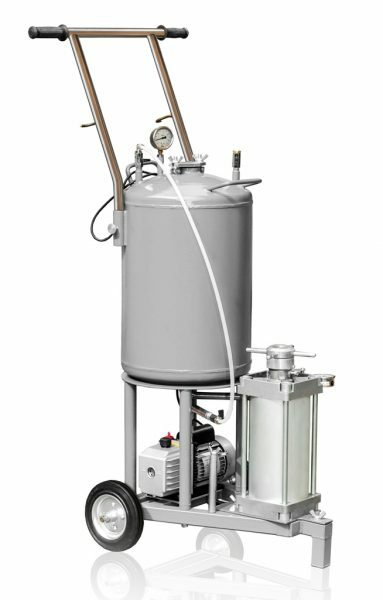 This oil filling vacuum plant is designed for preparation (degassing,) storage and transportation of transformer oil as well as for feeding high-voltage bushings of transformers and switches with transformer oil. The plant is for use in power stations, power substations and other sectors of the energy industry. The plant enables piston oil filling which prevents air from entering the oil.